HP is prepping what looks to be a high-end smartwatch compatible with both Android and iOS. The yet-unnamed smartwatch is being crafted by US designer Michael Bastian in partnership with online fashion flash sale site Gilt according to a report from Fashionista. As the story goes, HP reached out to Gilt with the idea of bringing in a fashion designer to help create a smartwatch. Gilt then went out and recruited Bastian to design the exterior of the timepiece which is said to be inspired by the interior trim of a luxury automobile. The watch features a 44mm stainless steel case and multilayered finish with inlaid button controls, distinctive bezel bolts, a lightened chronograph and three different bands to choose from. 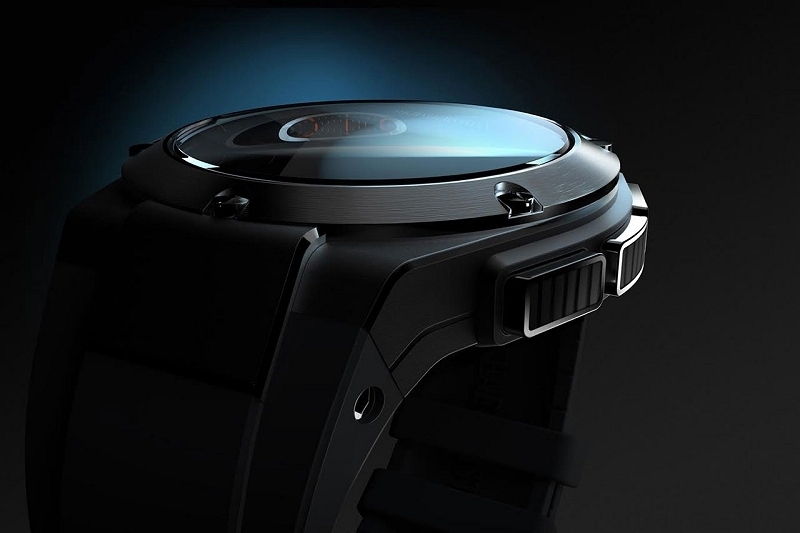 Naturally, HP handled the technical internal workings of the watch and its accompanying app which will be sold exclusively through Gilt's website this fall. The report claims wearers will be able to receive e-mails and text notifications, control music remotely and check weather, stocks and sports updates. Or in other words, it doesn't sound like HP and company are bringing anything new to the table in terms of functionality. It seems as though the smartwatch market as a whole is shifting towards relying on fashion designers to build elegant devices that put aesthetics over functionality. Maybe I'm alone in this thinking but I'm still not sold on the whole concept of a smartwatch as I don't feel they fill a gap or meet a need. They can only pull off a few of the many tasks that smartphones are capable of so, why not just use the phone for everything like we already do? Why complicate things with yet another device that performs the same features?